Central Otago is a place of sheer indulgence – whether it’s fine dining, a casual al-fresco lunch or café culture. You will be spoilt for choice when enjoying local fare and award winning wines at the great selection of cafés, restaurants, cellar doors and country pubs. There is no more perfect climate or location in which to enjoy al-fresco dining than in Central Otago, New Zealand. If the mood takes you, fill your backpack with a selection of gourmet foods, some famous Central Otago wine and fresh fruit and take to the hills to find a rock with a view to have lunch upon. Imagine the delicate pleasures of gently sipping a fine, award-winning Central Otago pinot noir while relaxing in grand alpine scenery that overlooks some of the world’s best pinot noir vines. With glass in hand and a selection of Central Otago’s best pinot, you’ll experience the inimitable vibrancy, purity, flavour and colour of the region’s excellent pinot noir vintage. Spend time in the area’s largest wine-growing sub-region, the Cromwell Basin, where you can enjoy wineries at Bannockburn in the south, and Lowburn, Wanaka Road and Bendigo to the north. Going south, visit vines in the localities of Alexandra and Clyde, nestled among rugged schist tors in a dry intermontane basin. Join an organised wine tour or nominate a driver to visit the area’s distinctive wine-growing sub-regions, each bearing their own matchless wine characteristics brought forth by the rugged, mountain landscape. Savour tastings at individual wineries, sampling the contrasts and complements of flavours and complexities, in a stunning, natural environment. 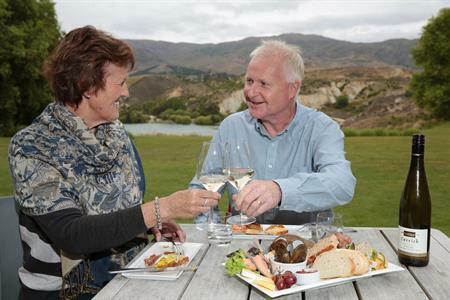 Most Central Otago wineries offer visitors wine tasting and the opportunity to buy their wines. This cellar door experience provides access to the high quality wines of the region’s many small producers. It is more personal than going to a store or a restaurant, as you are likely to meet the growers and/or the winemaker. Restaurants offer fine dining in the evenings. Some may also offer lunchtime dining. The ambience tends to be semi-formal. There is a range of top quality restaurants, each with a tempting, and often seasonally inspired, menu prepared by the chefs. 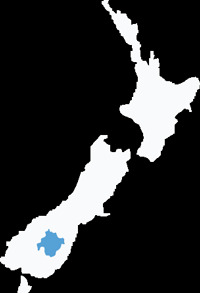 Restaurants are licensed and most stock award-winning Central Otago wines. Cafés have a relaxed atmosphere and usually offer a casual all-day dining experience. Most cafés provide juices, teas, espresso coffee and other hot and cold drinks. They usually have a variety of muffins, cakes and slices and also offer light meals. Some Central Otago cafés are open in the evenings. Most are not licensed. Bistro dining is commonly available at country hotels or pubs in Central Otago. It comprises hearty fare; warming, filling, home-style meals, served at meal times, at reasonable prices. In-between times, lighter refreshments like toasted sandwiches are often available. The atmosphere is relaxed and casual. You are likely to meet locals at these licensed establishments. Imagine the delicate pleasures of gently sipping a fine, award-winning Central Otago pinot noir while relaxing in grand alpine scenery that overlooks some of the world’s best pinot noir vines. With glass in hand and a selection of Central Otago’s best pinot, you’ll experience the inimitable vibrancy, purity, flavour and colour of the region’s excellent pinot noir vintage. Taste Central Otago summer fruit bursting with intense flavour, every delectable mouthful a taste sensation. Fresh cherries, apricots, nectarines, peaches, plums, pears and apples - only available for a short period time. 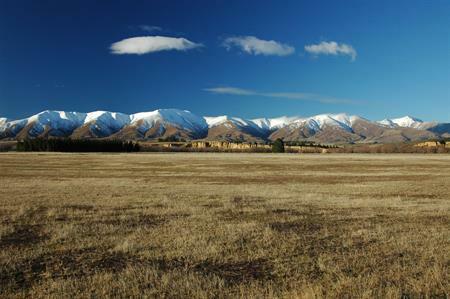 Looking for a taste of Central Otago to take home, or enjoy on a picnic while exploring our beautiful landscapes? These stores specialise in local products and flavours from across the region. Looking for a range of locally grown produce to tempt the taste buds? Foodies will be rewarded by a range of boutique products, produced with passion from Central Otago.